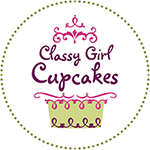 Classy Girl Cupcakes is Milwaukee’s premier cupcake bakery with two locations- downtown Milwaukee on Cathedral Square Park, and at Brookfield Square Mall in the food court. We have an immediate opening for an assistant cake decorator able to work part time or full time at one or both locations. Professional decorating experience preferred, but we may be willing to train an avid home decorator who demonstrates enthusiasm, natural artistic talent, and willingness to learn our methods. Duties include stacking single to 5 tiered cakes, crumb coating, final coating, detailed piping with buttercream, borders, writing, making buttercream and custom fillings from scratch, executing custom designs, and frosting and decorating custom cupcakes. Please note we bake fresh from scratch in small batches and decorate only with our homemade buttercream. We do not offer fondant, gum paste, edible images, or sheet cakes. Our ideal Assistant Cake Decorator is a dedicated, self-motivated, long term employee who is able to execute orders meticulously and in a timely manner. We are looking for someone creative and flexible, who wants to work in a fun, fast paced environment with close-knit staff. A strong work ethic with attention to detail and organization is a must, along with the ability to learn quickly and respond to constructive criticism with a sunny disposition. We maintain an environment supportive of your creativity, and we encourage employees to contribute menu and design ideas whenever possible. This position has potential for promotion to full time in the future for the right candidate. Must be willing to work first or second shift on weekdays and weekends, and willingness to stay until tasks are completed regardless of scheduled end time is required. To apply, please e-mail your resume, hours you’re available to work each day of the week, and photos or links to your decorating work to [email protected].